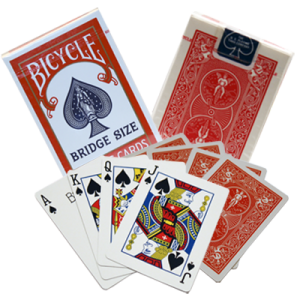 Featured in this week’s History of Magic is Theodore Hardeen, born Ferencz Dezso Weisz in Budapest, Hungary on February 29th, 1876. He was the younger brother of one of the most famous magicians of all time, Harry Houdini, but Hardeen would outlive him by nearly 20 years. The brothers first performed in their teens together as a partnership, culminating their magic act with their illusion “Metamorphosis” or what has become known today as the Substitution Trunk illusion. 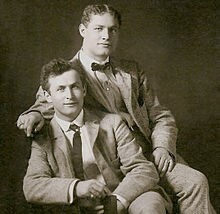 They originally billed themselves as the Houdini Brother’s. Brother Harry seemed to be the dominant performer while his brother Dash (taken from his middle Hungarian name) seemed happier to stay out of the limelight on stage. They performed in dime museums, beer halls and Coney Island. Soon Harry was to meet and marry Beatrice (Bess) Rahner who became Harry’s partner. Hardeen then had to begin his own solo career. As Houdini began to gain interest and fame as an escapologist, he and Bess travelled to Europe where he was billed as the “Handcuff King”, and his fame gathered huge momentum. They got so many bookings and were held over for extended runs they could not cope with all their many engagements. So Harry cabled his brother Dash to join them in Europe saying, “Come over quickly the apples are ripe for the picking”. Hardeen took the next ship. It was Hardeen who actually developed the straight jacket escape in view of the audience rather than behind a screen as Harry did in the beginning. Hardeen was also the founder of the Magicians Guild. 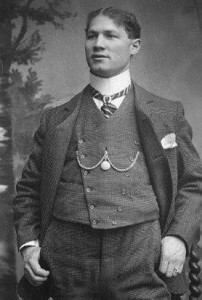 The Houdini brothers met up in Germany and Dash was given the new stage name Theo or ‘Theodore Hardeen’ and billed as an English escape artist, with supposedly no family links to brother Harry. They even established a sort of theatrical rivalry that would help them both in business. This sort of publicity was good for both of them and it worked well. For about 5 years both escape artistes succeeded in fulfilling their respective bookings with really good houses. While Hardeen’s skill as a magician and escapologist was very good, he lacked the flamboyant personality and showmanship that Harry had. On their return to America in 1907 Harry used the Keith Theatrical Agency while Hardeen used the rival booking agency of Klaw & Erlanger and continued their so called rivalry that was prevalent at the time in show business. “Hardeen may have learned his business and some skills from Houdini, and he learned it well, as no man could have failed to do so without such a master. But his natural ability was always there. Even if Houdini had not pointed the way, it is quite likely that Hardeen would have become an escape artiste. I have seen him perform many times and marvel at his achievements. The huge chains were hardly locked in place when he breaks free. The handcuffs and padlocks seem to be mere trifles to escape from. Hardeen like his brother is a great favourite in the magical world. A man of considerable culture and the best raconteur I have ever met. Like Houdini, he is willing to spend money and time freely to further the cause of magic. For our members who may be amateurs or professionals regard Theo as a friend while the public regard him as a brilliant artiste and thrilling entertainer”. An amazing incident happened when Hardeen was performing Houdini’s famous Milk Can Escape for a large liquor dealer’s convention. Someone had the idea to fill the milk can with whiskey instead of normal water. The fumes from the whiskey were so overwhelming that Hardeen was overcome. This necessitated Stanley Collins his stage manager to smash the locks with an axe to get the unconscious performer out safely. It was a dramatic experience. film titled ‘Medium Well Done’. In the film Hardeen played the part of a ‘Hardboiled tough Detective’ on the case of a bogus spirit medium. The film was directed by Lloyd French who directed all the Laurel and Hardy films. From 1938 till 1941 Theo was featured on the Olsen & Johnston’s Broadway long running stage revue called “Hellzapoppin”. This was a musical extravaganza that featured many variety numbers, dancers and music. Hardeen was planning to write a book on his life in 1945 when he went into the Doctors Hospital New York City for a minor surgery. He unexpectedly died from complications while recovering and passed away June 12th 1945 aged 69. When Houdini who had died in Grace Hospital Detroit in 1926, Hardeen had inherited his bothers comprehensive magic library and all his stage props and equipment that would have secured his continued success as a performer. A good lesson that Theodore hands onto us is that despite being the brother of Harry Houdini and even with both of them following almost identical careers, Hardeen was his own man and performed in his own way throughout his life, something we should all do. It is interesting to note that the magic library that Theo inherited was later donated and is now housed in the American Library of Congress. Both Harry Houdini and Theodore Hardeen lie buried in the Machpelah Jewish Cemetery in Queens, New York, and both brothers will be remembered in the long and rich history of magic. Thank you David for sharing the above information which is informative and interesting to read, see you next Tuesday at the Trevor Duffy lecture.